Merax has long been a household name in biking. They are especially known for their road racing bikes and reliability. Currently the third most popular road bike on Amazon.com, this Merax bike is more than just a leisure ride or commuter–this bike was built for racing in mind. Speed and durability are at its core, and with the strong but lightweight aluminum frame and quick release front wheel, you can ride however you like with ease. With upgradeable component parts, you can customize this bike and still save hundreds of dollars than if you purchased a more expensive model. This Merax 21 Speed is great for those on a budget and seeking a bike under $300. Without a ton of money to spend, you can ride this bike with its stock parts, or for greater performance, you can upgrade one or two component parts for just a few bucks more and save money while creating for yourself a bike of quality and durability. Check out our review below and see if this bike is right for you–we will show you the good, the bad, the highlights, quality of the components, buyer opinions, and provide ratings, recommendations, and links so you can make a more informed decision. The Merax 21 Speed 700c Aluminum Racing Road Bike is an entry level road racer that is built for speed and for anyone who wants a nice, decent bike on a budget. 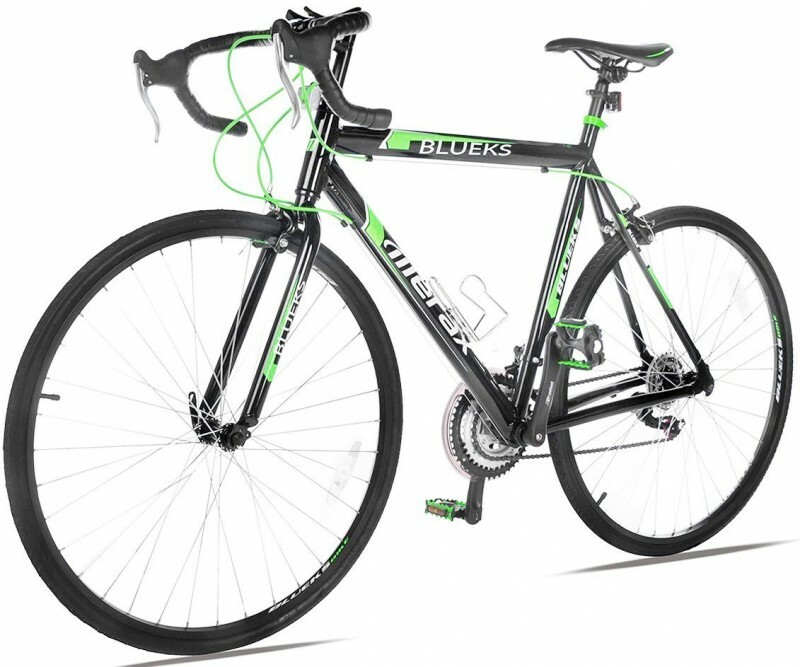 With a price tag of less than $200, this is an excellent alternative to road bikes that can cost from $500 to $3,500. The design begins with a lightweight, newly designed Aluminum frame, which weighs 27.5 pounds, which is a great weight for speed as well as solid durability for the rider. With two different colors to choose from and three sizes, you will love the bold and sturdy look of this bike and find the perfect size for you. 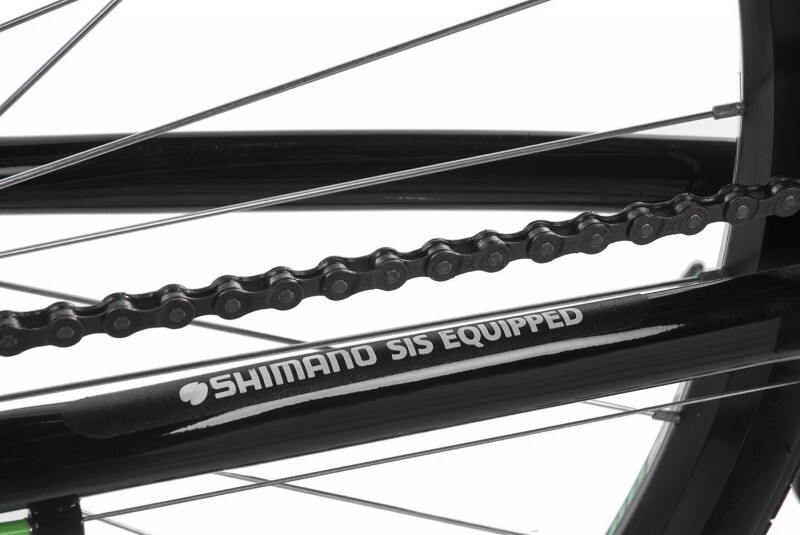 The component parts are largely Shimano pieces, which you can see below in the Tech Specs and Features. This Merax has many positive aspects going for it. Merax is one of the better manufacturers of entry level bikes. While other brands suffer on quality, Merax is very decent with the quality and functionality of their bikes. First up, is the frame. The aluminum frame is very sturdy and lightweight. As a racing cycle, this is perfect for speeding through the streets with confidence. As a racing cycle, this Merax 21 Speed is definitely quicker than other road bikes–you will fly on the streets with this model. If you have a need for speed, this is a great bike to start off with. When you receive this bike, you will have to get it assembled. For the best performance and safety, it is worth it to spend a few bucks to have it assembled and tuned up at your local bike shop. As far as the bike’s parts, it will certainly be worth it to replace the tires and brakes. This bike comes stock with Kenda 7 x 28c tires. These are of lower quality, however, if you are an entry level rider who plans on casually riding or sticking to flat roads, you may be okay with these tires and brakes. If you live where you brake frequently or have hills, definitely upgrade the brakes. However, if you commit to taking this racing cycle to the road for some streamlined fitness, commuting, or entertainment biking, it is well worth it to purchase better quality tires and upgrade the brakes (brakes are very cheap for decent ones–$10 or so). The best time to do this is before you assemble the bike. That way, you can take it to a professional bike shop and have them put on the upgraded parts of your choosing. Two birds, one stone. This next part is actually mentioned in the included manual by Merax, but is important to include in case you are like most people and do not read the manuals. The brakes tend to rub the front rim at first (as this bike is factory tuned), so this is again, another reason why a simple tune-up is a great idea. Tuning the gears and adjusting the braking system is a must for optimal performance. The highlights of the Merax 21 Speed Aluminum Racing Bike are the speed, frame construction, Shimano gears/shifters, and the quick release front wheel. The quick release front wheel is great. If you are on the road or do not want to mess around with tools or carry them around, the quick release makes it easy to take off the tire. This also works great as a anti-theft deterrent to stop someone from stealing your bike! Be sure to know how to use a quick release and how to secure the tire properly–otherwise, you could misuse it and could crash if your tire comes off. Always know how the equipment works before using it! 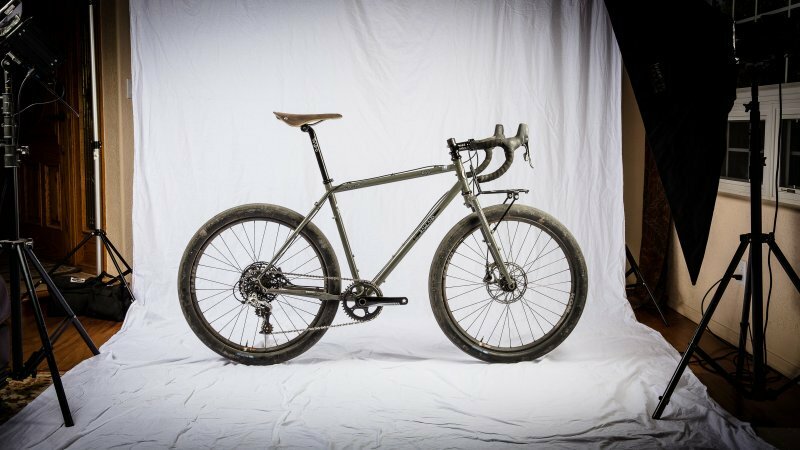 The lightweight but sturdy aluminum frame is perfect for road use, and is streamlined for racing. 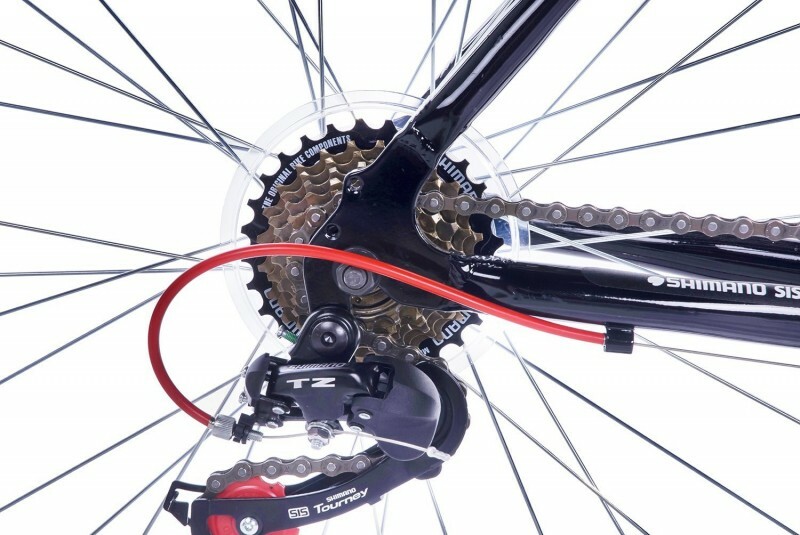 The Shimano shifters and gears work great for most riders who have calibrated and adjusted the bike properly during assembly. Those who have not gotten their bike properly assembled are the ones who encounter problems. This Merax’s functionality is quite impressive considering the low price. 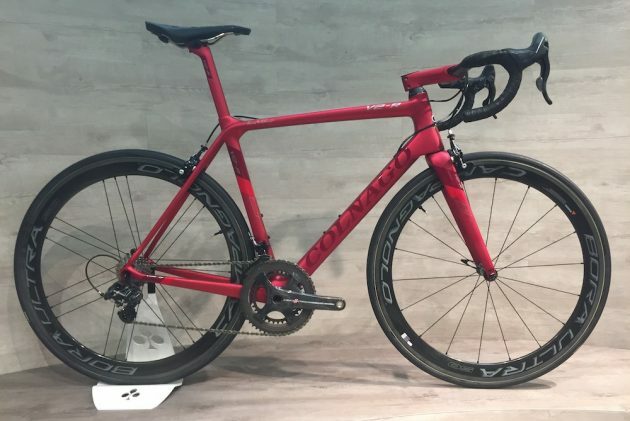 On bikes such as the Vilano brand, you often have to replace many components due to poor quality materials due to the low price. However, this Merax has pretty decent parts where it counts. While you may want to replace the Kenda tires and Alloy Caliper brakes with better, road-worthy alternatives, the rest of the bike is pretty solid. If you decide not to replace any parts, no problem–just be sure to true the tires before riding, they will need it. You can find out how to true tires on YouTube. The aluminum frame is excellent and is sturdy while remaining lightweight and streamlined for racing. The derailleurs and shifters are great as stock. You always have the option to upgrade them after giving them a try, if you have certain biking environments you need to navigate around with new components. But the stock components function quite well. 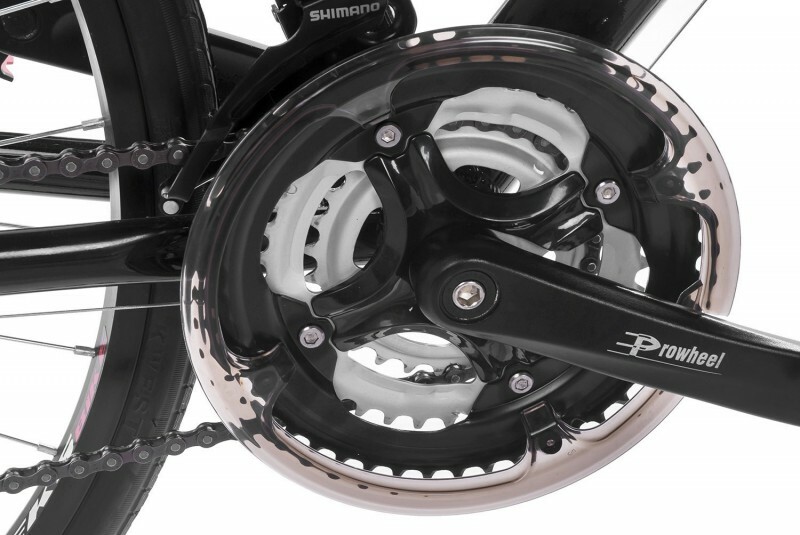 The shifters shift without issue and the construction of the Shimano derailleurs is as good as any within this caliber of bicycle. Some riders have found it worth it to not only replace the tires and brakes, but to invest in a set of STI Shifters. If you decide to do this, you need to get new handlebars and a stem as well as a threaded adapter. So, ask a professional or do your research before deciding which component parts to replace if you are unfamiliar with them. This bike is a cross between a road bike and a cyclo-cross, which is perfect for those who like to change up their routine and take to the roads for different reasons such as racing, fitness, leisure, entertainment, group biking, and so on. The price of this Merax is most certainly one of the best aspects of this unit. Road racers, novice bikers, and those who want an inexpensive or beginner’s bike that they can grow in and even upgrade as they go along, will find this Merax 21 Speed Aluminum Racing Cycle the perfect choice, if you have read this review and acknowledge some limitations and understand the quality you are receiving for the price. You can purchase the Merax 21 Speed 700c Aluminum Road Bike Racing Bicycle on Amazon.com for between $259.99 to $299.99. You can choose between Green/Black and Red/Black color schemes and three sizes: 50 cm, 54 cm, and 58 cm. 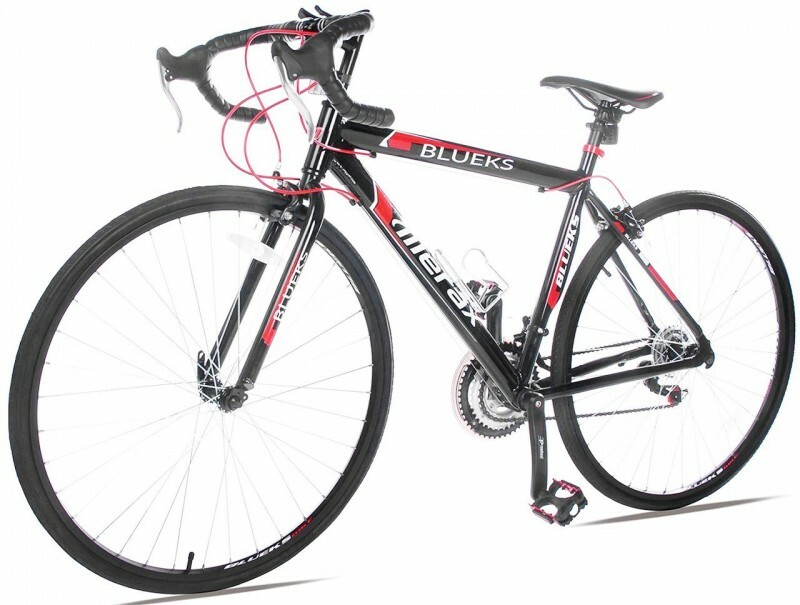 **To view our other bike reviews, including other Merax Road Bikes, click on the highlighted links. Since you must assemble this bike, it is worth it to take it to a local bike shop to have it assembled and tuned. 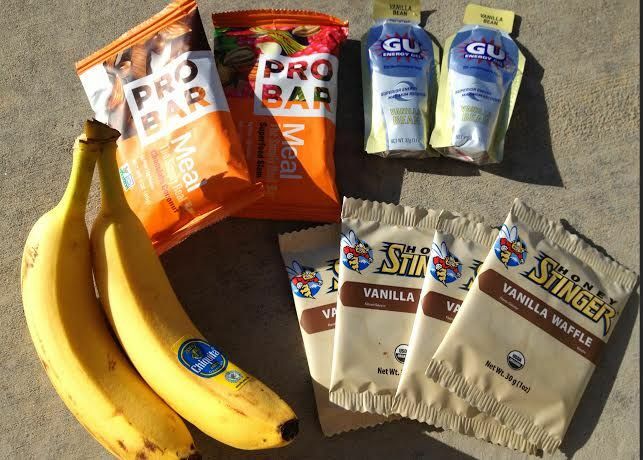 This only costs a few bucks–it should cost you less than $40 to $50. This will also double as the perfect time for the bike shop professionals to tune it to your height, your preferences, and your needs. In addition, if you have decided to upgrade any components or parts such as the tires, brakes, the seat, or the pedals, they can install these parts and customize it and tune it up for you so it is ready to hit the road. Overall, despite the quality of the tires and the lower quality component parts, this Merax is a very reliable racing bicycle that with a nice pair of tires, can be relied on for pretty decent performance for the entry level and normal rider. It is recommended as a good bike to start with for taking to the roads with some speed in mind. **To see a full list of our bike reviews for a variety of brands, models, and price range, visit our Homepage.